Following over a year and a half of investigation, police charged a Nanticoke man allegedly responsible for a fatal one-car crash in Lehman Township in 2013. James Thomas Novis, 39, of 1212 S. Prospect St., is charged with homicide by vehicle while driving under the influence, homicide by vehicle, DUI, reckless driving, careless driving, accident involving death and other traffic violations. 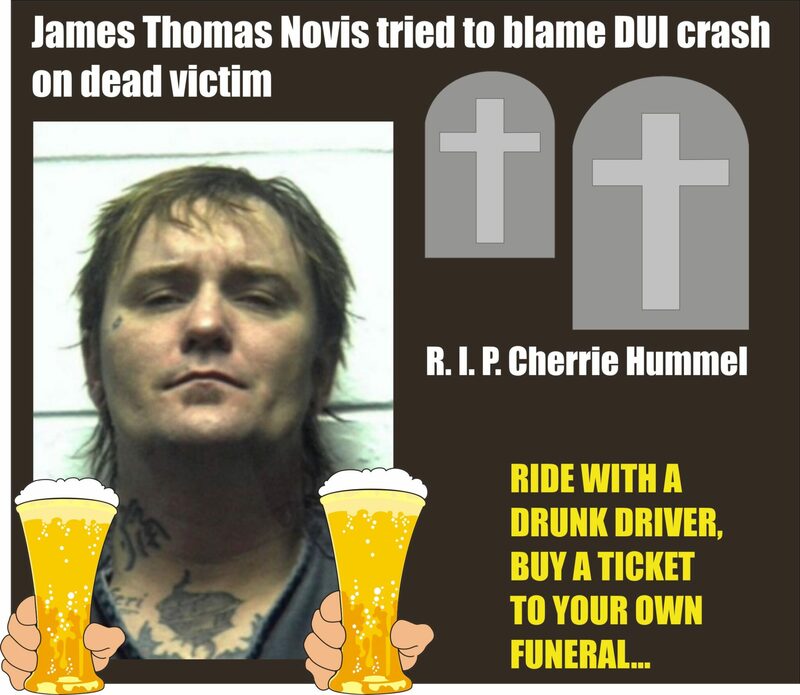 Police said Novis was drunk and driving under a suspended license during the crash that killed Cherri L. Hummel on May 4, 2013 on state Route 29 and Trojan Road. Novis has told investigators Hummel was behind the wheel, police said. Authorities responded around 7:30 a.m. to the scene of the one-vehicle crash and found a wrecked 1979 two-door Chevrolet Caprice with its three occupants outside the car. Novis and Michael Romanoskey, 24, of Wilkes-Barre, were taken to Geisinger Wyoming Valley Medical Center in Plains Township. Hummel, 39, of Nanticoke, was pronounced dead at the scene. Police said Novis and Hummel had a strong odor of alcohol on them when police arrived on scene. This entry was posted in DWI arrest photos, DWI Arrests by State, DWI news articles, injury or death, repeat offender and tagged Cherri L. Hummel, driving while under the influence, drunk driver tried to blame crash on victim Cherri Hummel, drunk driving, DUI, DWI, James Thomas Novis, Lehman Township investigation into fatal DUI crash, Lehman Township police, Michael Romanoskey, Naticoke resident charged with DUI homicide, OWI, suspect tripped up by video in gas station showed him to be the driver. Bookmark the permalink.